Penalty saved! Rodrygo (Santos) fails to capitalise on this great opportunity, right footed shot saved in the bottom left corner. Goal! 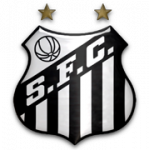 Cruzeiro 1(2), Santos 2. Raniel (Cruzeiro) converts the penalty with a right footed shot to the high centre of the goal. Penalty saved! Bruno Henrique (Santos) fails to capitalise on this great opportunity, right footed shot saved in the bottom right corner. Goal! Cruzeiro 1(1), Santos 2. Lucas Silva (Cruzeiro) converts the penalty with a right footed shot to the bottom left corner. Penalty Shootout begins Cruzeiro 1, Santos 2. Second yellow card to Vladimir (Santos). 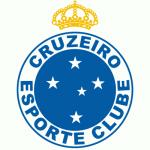 Second Half ends, Cruzeiro 1, Santos 2. Delay in match Rafinha (Cruzeiro) because of an injury. Dodô (Santos) is shown the yellow card for a bad foul. Rafinha (Cruzeiro) wins a free kick on the right wing. Henrique (Cruzeiro) wins a free kick in the attacking half. Edilson (Cruzeiro) is shown the yellow card. Gabriel (Santos) is shown the yellow card. Bruno Henrique (Santos) is shown the yellow card for a bad foul. Rafinha (Cruzeiro) wins a free kick in the defensive half. Foul by Bruno Henrique (Santos). Attempt missed. Gabriel (Santos) header from a difficult angle on the left misses to the left. Assisted by Jean Mota with a cross following a corner. Corner, Santos. Conceded by David. Offside, Cruzeiro. Thiago Neves tries a through ball, but Raniel is caught offside. Substitution, Cruzeiro. David replaces Giorgian de Arrascaeta. Attempt missed. Rafinha (Cruzeiro) left footed shot from the centre of the box is close, but misses to the right following a set piece situation. Giorgian de Arrascaeta (Cruzeiro) wins a free kick on the left wing. Foul by Daniel Guedes (Santos). Corner, Cruzeiro. Conceded by Jean Mota. Bruno Henrique (Santos) wins a free kick on the left wing. Vladimir (Santos) is shown the yellow card. Goal! Cruzeiro 1, Santos 2. Bruno Henrique (Santos) header from the centre of the box to the top left corner. Assisted by Rodrygo with a cross. 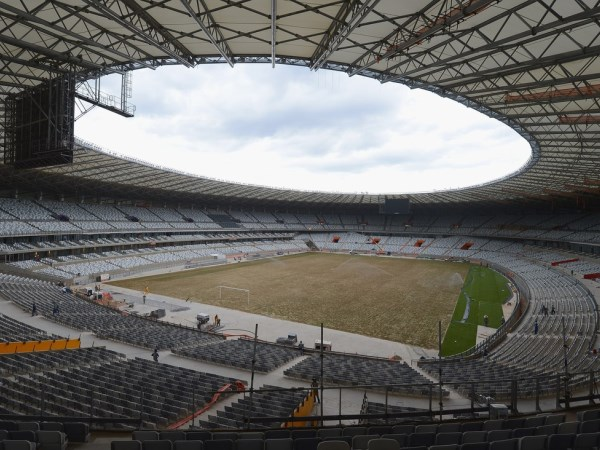 Delay in match (Cruzeiro). Video Review. Attempt missed. Thiago Neves (Cruzeiro) left footed shot from outside the box is high and wide to the left following a set piece situation. Attempt blocked. Thiago Neves (Cruzeiro) left footed shot from outside the box is blocked. Gustavo Henrique (Santos) is shown the yellow card for a bad foul. Raniel (Cruzeiro) wins a free kick in the attacking half. Foul by Gustavo Henrique (Santos). Substitution, Cruzeiro. Rafinha replaces Robinho because of an injury. Delay in match Robinho (Cruzeiro) because of an injury. Edilson (Cruzeiro) wins a free kick in the defensive half. Corner, Santos. Conceded by Léo. Substitution, Santos. Daniel Guedes replaces Renato. Lucas Silva (Cruzeiro) wins a free kick on the right wing. Foul by Victor Ferraz (Santos). Jean Mota (Santos) wins a free kick in the attacking half. Foul by Lucas Silva (Cruzeiro). Substitution, Cruzeiro. Raniel replaces Hernán Barcos. Jean Mota (Santos) wins a free kick in the defensive half. Henrique (Cruzeiro) wins a free kick in the defensive half. Attempt missed. Lucas Silva (Cruzeiro) right footed shot from outside the box is too high. Assisted by Thiago Neves. Substitution, Santos. Jean Mota replaces Arthur Gomes. Attempt missed. Hernán Barcos (Cruzeiro) left footed shot from outside the box misses to the left. Assisted by Robinho. Corner, Cruzeiro. Conceded by Lucas Verissimo. Attempt blocked. Robinho (Cruzeiro) left footed shot from the centre of the box is blocked. Assisted by Thiago Neves with a headed pass. Attempt missed. Dedé (Cruzeiro) header from the centre of the box misses to the left. Assisted by Robinho with a cross following a corner. Attempt blocked. Edilson (Cruzeiro) right footed shot from a difficult angle on the right is blocked. Assisted by Hernán Barcos with a through ball. Hand ball by Edilson (Cruzeiro). Dedé (Cruzeiro) hits the bar with a header from the centre of the box. Assisted by Robinho with a cross following a corner. Corner, Cruzeiro. Conceded by Dodô. Hernán Barcos (Cruzeiro) wins a free kick in the attacking half. Foul by Lucas Verissimo (Santos). Victor Ferraz (Santos) wins a free kick on the right wing. Foul by Hernán Barcos (Cruzeiro). Bruno Henrique (Santos) wins a free kick in the defensive half. Second Half begins Cruzeiro 1, Santos 1. First Half ends, Cruzeiro 1, Santos 1. Corner, Santos. Conceded by Edilson. Corner, Santos. Conceded by Robinho. Attempt saved. Thiago Neves (Cruzeiro) left footed shot from outside the box is saved in the centre of the goal. Assisted by Hernán Barcos. Goal! Cruzeiro 1, Santos 1. Gabriel (Santos) left footed shot from outside the box to the bottom right corner. Assisted by Dodô. Hand ball by Diego Pituca (Santos). Giorgian de Arrascaeta (Cruzeiro) wins a free kick in the defensive half. Rodrygo (Santos) wins a free kick in the attacking half. Lucas Verissimo (Santos) wins a free kick on the right wing. Diego Pituca (Santos) wins a free kick in the defensive half. Hand ball by Gabriel (Santos). Thiago Neves (Cruzeiro) hits the left post with a left footed shot from very close range. Assisted by Edilson. Offside, Santos. Gustavo Henrique tries a through ball, but Lucas Verissimo is caught offside. Corner, Santos. Conceded by Egidio. Attempt saved. Dodô (Santos) left footed shot from outside the box is saved in the centre of the goal. Corner, Santos. Conceded by Lucas Silva. Goal! Cruzeiro 1, Santos 0. Thiago Neves (Cruzeiro) left footed shot from the right side of the box to the bottom right corner. Assisted by Giorgian de Arrascaeta. Substitution, Santos. Gustavo Henrique replaces Luiz Felipe because of an injury.